Lime zest is so pungent, my whole kitchen smelled zesty today. Loved it! 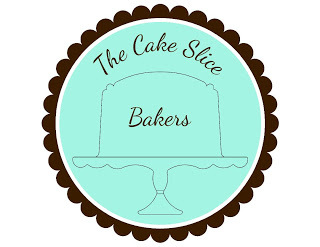 One of the joys of blogging is visiting other blogger's sites and finding things that you just have to try. Another joy is participating in events hosted by bloggers you admire. This post is about having both happen in a delightful way. The talented and delightful Meeta of What's for Lunch Honey? blog is hosting a monthly Mingle with a Caribbeans theme. Making the mingle even more fun is that my very favorite Caribbean area blogger, Cynthia of Tastes Like Home is part of the Mingle due to her book. Do go to Meeta's blog and find out all about it. You might just have time to join in the fun. 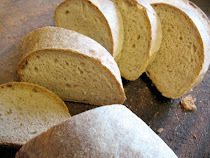 Another blog to visit often is Susan's Wild Yeast. Once a week she hosts the equivalent of a playground for passionate bread bakers, an event called Yeastspotting. 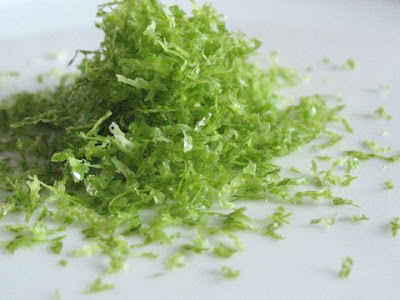 The most recent collection on Yeastspotting included a recipe for Lime French Toast by Jan of InnCuisine blog. 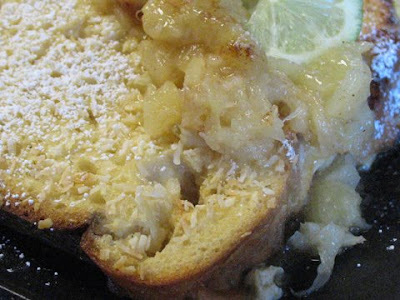 Never being content to leave well enough alone, and inspired by Jan's own variations on the French Toast theme, I decided to make Caribe French Toast with a host of island flavors including lime, coconut, pineapple, vanilla, rum and banana. This is a perfect dish for a brunch because most of the work is done ahead. It also looks very impressive when plated. So what makes up Caribe French Toast? A buttery syrup with both lime juice and zest, pineapple juice and a healthy dose of dark brown sugar is heated up in a pot, cooled and mellowed with coconut milk. It serves as the base for the bread to sit on. 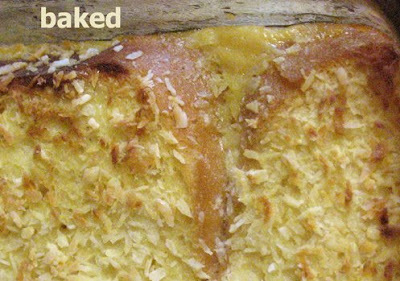 Over the top you pour an egg rich custard flavored with vanilla, then sprinkle it with coconut. 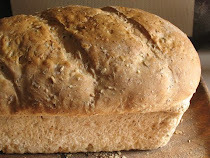 It sits in the fridge overnight so that the bread can soak up the flavors, then bakes to a golden brown. While the toast bakes, you make a warm banana and pineapple topping. If you desire, you can even doll it up a bit more with some rum and/or candied ginger. Sweetie said that this was world class and he really liked the haunting note that the coconut milk provided. It's a bit on the sweet side, so you could reduce the brown sugar amount or serve with something salty like bacon on the side. The soft and custardy French toast has crisp coco nutty crust and the fruit topping finishes the Caribe flavors perfectly. Take a bite and you'll feel those warm breezes on your cheek. What could be nicer? In a medium saucepan over low heat combine the butter, brown sugar, corn syrup or treacle, lime zest and juice, and pineapple juice. Cook about 5 minutes, until the butter and sugar have melted. Remove from heat and stir in coconut milk. Cool. Pour into the baking dish. 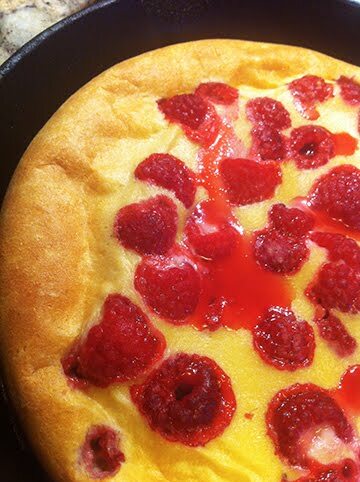 In a mixing bowl, mix eggs, egg whites, milk and vanilla. Blend well (I whip this with an electric whisk attachment on my mixer). 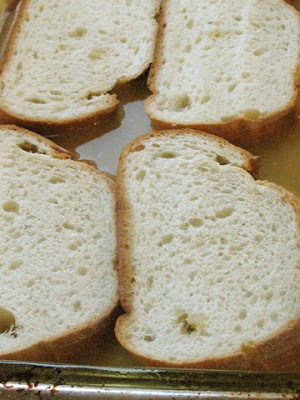 Arrange the bread slices in one layer over the lime mixture and pour the whipped egg and milk mixture over the bread. Sprinkle with the coconut. Cover and refrigerate overnight. Remove from refrigerator 30 minutes prior to baking and allow to return to room temperature. Bake uncovered at 350 degrees F for 30 minutes or until golden brown. 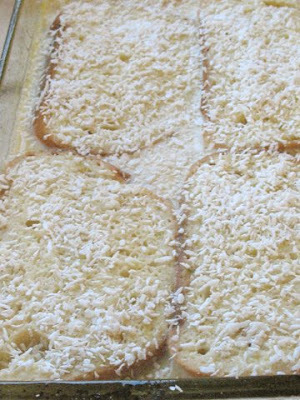 If needed, place under broiler to give the coconut a slight toasting. Watch so it doesn't burn. 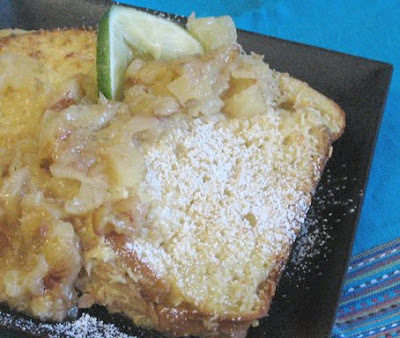 Place 2 slices of the baked Lime French Toast on each plate. Top with Pineapple Banana Compote (recipe follows), and garnish with a bit of sifted confectioners’ sugar. In a saute’ pan, melt the butter. 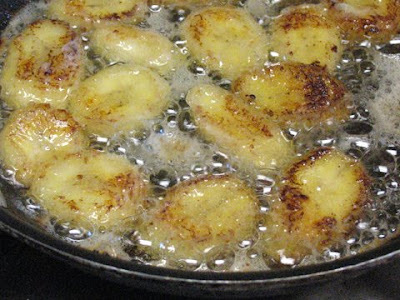 Over medium high heat cook the banana in the butter until golden and softened. Add the pineapple and stir to combine well. Heat just until the pineapple is warm. Stir in the rum and ginger (if using). Serve over Caribe French Toast. Leftovers can be used over waffles, pancakes, or ice cream. If you know how to do flaming rum, you could bring the plates to the table, dusted with confectioners sugar and garnished with a lime slice, then flame the topping and scoop flaming spoonsful of it over the toasts. This is going to be an entry in Meeta's Mingle and, as a tribute to Jan, in Susan's Yeastspotting. Now that's my kind of breakfast. Have me some of that and a pina colada and I am set for the day! Anyway - this looks totally yummy. Rest assured this will be making an appearance in our kitchen sometime soon. Good golly that looks fantastic . . . good good. This is not my mom's french toast! Yum!!! I just really need to make some of my own French Toast. I got some at Cracker Barrel when I went for breakfast with friends and was very unsatisfied with it...must be something with homemade. Great addition to the Mingle! I'm in love with Caribbean flavours... I just wish I could actually be in the Caribbean to enjoy them fresh. oh this is my kind if breakfast all i need is the beach and some sea and i am happy! 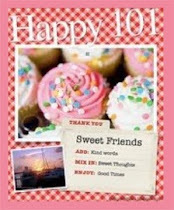 perfect for the mingle - thanks! Next time I'm at home, I'm coming to YOUR HOUSE for breakfast. I don't know how you got up and DID ANYTHING after eating that. I'd be sitting on the porch swing with a novel for the rest of the day. YUM. Peabody, it's like a super luxury bread pudding. Bet you'd loe it. Ginny, Thanks! Not to worry...I get confused all the time. Tanna, LOL when I read 'not my mom's french toast' that is the truth! Claire, this is a rich French Toast, but quite a treat. Home made is usually better and this one is easy, too. Tanita, Yes, good idea! After we are done we can sit on the deck if the weather is good and veg. My brain was not working too well yesterday morning once I ate this...sugar high and alcohol buzz joined up with general distraction. Oh, this sounds so truly awesome, it's not funny! Saving this one for later! That sounds like a breakfast to perk up any gray winter morning. I was smitten by this when I first saw it on InnCuisine, even more so now. What a wonderful slice of tropical heaven. This doesn't look like my French toast! Wow! I'm thrilled you found this recipe on my blog and LOVE what you've done with it. This pumped up Caribbean aspect is out of this world and I would love to try all those flavors in one fabulous, French toast bite!